Years after the Las Vegas crime lab wanted to replace faulty police drug kits, they are still used in thousands of convictions. 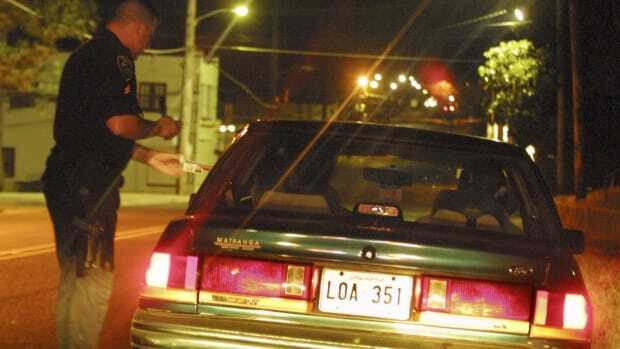 At the outset of the 1990s, the Las Vegas Metropolitan Police Department began making thousands of arrests every year using inexpensive test kits meant to detect illegal drugs. Officers simply had to drop suspected cocaine or methamphetamine — taken from someone’s pocket or the floorboards of their car — into a pouch of chemicals and watch for telltale changes in colors. Known as “field tests,” police embraced them as essential in busting drug users and dealers. Local judges became sold on the kits’ usefulness and prosecutors relied on them to quickly secure guilty pleas — hundreds upon hundreds, year after year. All along, though, police and prosecutors knew the tests were vulnerable to error, and, by 2010, the police department’s crime lab wanted to abandon its kits for methamphetamine and cocaine. In a 2014 report that Las Vegas police submitted to the Department of Justice (DOJ) under the terms of a federal grant, the lab detailed how the kits produced false positives. Legal substances sometimes create the same colors as illegal drugs. Officers conducting the tests, lab officials acknowledged, misinterpreted results. New technology was available — and clearly needed to protect against wrongful convictions. Yet, to this day, the kits remain in everyday use in Las Vegas. In 2015, the police department made some 5,000 arrests for drug offenses, and the local courts churned out 4,600 drug convictions, nearly three-quarters of them relying on field test results, according to an analysis of police and court data. Indeed, the department has expanded the use of the kits, adding heroin to the list of illegal drugs the tests can be used to detect. 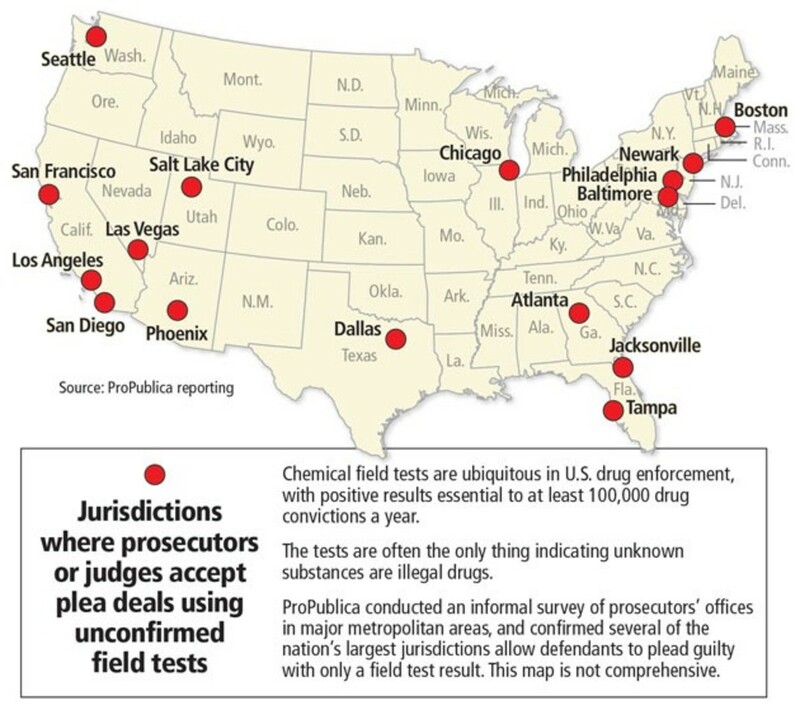 To be sure, most field tests are accurate and most drug defendants who take plea deals are guilty. But — just as certainly — there have been some number of convictions based on false positives. How many? The department maintains it has never established an error rate. The department destroys samples after pleas are entered and does not track how many of its field test results are re-checked. Drug arrest and lab testing data show the number could be as low as 10 percent. What is clear is that even as they continue to employ field tests to secure arrests and gain convictions, neither the Las Vegas Metropolitan Police Department nor the Clark County district attorney’s office has informed local judges of the long-standing knowledge of their unreliability. And neither has taken any additional steps to prevent mistakes. Informed recently of the findings reported to the DOJ, Joe Bonaventure, chief judge of the Las Vegas Justice Court, expressed concern about the flaws but did not say whether he plans to change his court’s regard for the tests. Kim Murga, the director of the Las Vegas police crime lab, said the department still wants to stop using chemical field tests in arrests for methamphetamine and cocaine. “We don’t turn a blind eye” to the risk of false positives, Murga said. But she acknowledged that the lab had not tried to more effectively eliminate errors. In 2014, the same year the Las Vegas lab’s report to the DOJ detailed misgivings about the reliability of field tests, prosecutors in Houston identified more than 300 cases in which innocent people took plea deals largely based on field test results that proved wrong. Unlike in Las Vegas, Houston’s lab hung on to evidence even after defendants pleaded guilty. Lab tests later proved that the alleged drugs were not controlled substances. By that time, though, many people had spent time in jail or prison. Some were saddled for years with felony convictions that devastated their lives. The district attorney’s office in Harris County, the jurisdiction where Houston is, no longer accepts guilty pleas based on field tests. Drug evidence must be confirmed by the crime lab for prosecutors to obtain a conviction. Officials at the Clark County district attorney’s office would not be interviewed about the use of field tests in Las Vegas or their reliability. Jennifer Knight, a spokeswoman for the police department, said the lab had informed the district attorney’s office of the concerns about field test reliability when it sent the 2014 report to the DOJ. In some respects, people arrested for drug offenses based on field tests in Las Vegas find themselves in more dire circumstances than they might elsewhere. 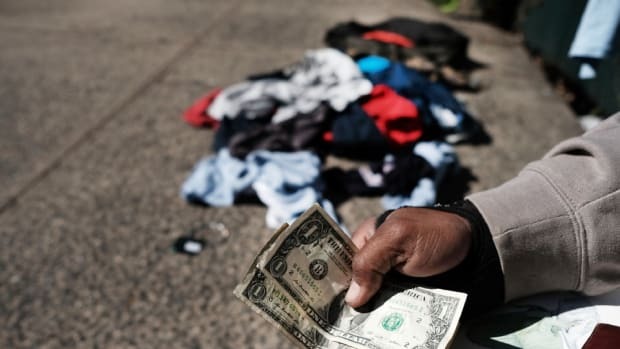 People allegedly possessing even small amounts of a drug like cocaine can be charged with trafficking and thus be exposed to stiff sentences and steep bail amounts. Prosecutors routinely resist efforts to have drug evidence quickly retested in the lab, often keeping those who fight the charges in jail longer. Police and prosecutors have made presentations to judges vouching for the reliability of field tests. Defense attorneys say such proceedings leave judges predisposed to accept field test results as authoritative. Phil Kohn, chief of the Las Vegas public defender’s office, acknowledged that the prospect of serious prison time has the effect of strong-arming pleas. “If you’re wondering why the public defender is pleading these cases, it’s because the alternative is horrific,” Kohn said. Chemical field tests were first widely deployed by law enforcement in the 1960s amid the early skirmishes of the war on drugs. Today, they are used by hundreds of police agencies across the country, from the giant New York Police Department to far smaller departments throughout rural America. In 2011, the DOJ hired a private research firm for a national survey, and every jurisdiction it contacted used field tests for drug arrests. Nonetheless, in jurisdictions of all sizes and in all corners of the country, unconfirmed field tests are being used to help extract guilty pleas. The 2011 national study commissioned by the DOJ found that prosecutors in nine of the 10 jurisdictions surveyed accepted guilty pleas using unconfirmed field tests. ProPublica’s analysis of the available data — arrests, convictions, plea bargains, rates of field test use — suggests that, every year, a minimum of 100,000 people nationwide plead guilty to drug charges that rely on field-test results as evidence. Even a modest error rate, then, could produce hundreds or even thousands of wrongful convictions. David LaBahn, president of the Washington-based Association of Prosecuting Attorneys, said the hundreds of wrongful convictions in Houston had effectively put the nation’s criminal justice system on notice. Jurisdictions still accepting guilty pleas based on field tests were playing with fire. Perhaps no jurisdiction in the country is as equipped to understand the risk of wrongful convictions as Las Vegas. The unreliability of field tests, after all, is not theoretical here. Their shortcomings were painstakingly memorialized in the 2014 report that called for the tests to be replaced. Yet Las Vegas police continue to arrest people using field tests, and the volume of drug pleas continues largely unabated. The police made some 13,000 arrests involving cocaine, methamphetamine, or marijuana offenses from 2013 through 2015. More than 10,000 convictions resulted from these drug arrests and 99 percent of them were achieved through guilty pleas, court data show. The records establish that some 70 percent of the pleas came at the earliest possible moment, during preliminary hearings and before any lab retesting. During the 1980s, as the population of Las Vegas exploded, the number of drug arrests did, too. As in other cities, the Las Vegas police force saw drug enforcement as a way to reduce all forms of crime, especially burglaries and other thefts. Las Vegas patrol officers aggressively searched out small-time sellers and users on and around the Strip, eager to safeguard residents and tourists alike. But as the department came to average some 4,000 drug arrests a year by the decade’s end — a formidable figure for a city of 250,000 — its crime lab became swamped. The department budgeted for fewer than three full-time scientists to test the huge volume of drug evidence. Without lab reports identifying drugs, prosecutors couldn’t file criminal charges and were legally limited to detaining suspects for eight days. As a result, hundreds of suspects waited out the eight days and were released. Field tests were an appealing answer to the problem. Bill Jansen, a former Federal Bureau of Investigation agent who became a judge on the Las Vegas Justice Court in 1985, remembers attending a presentation with colleagues by Becton Dickinson, which manufactured the NIK Public Safety brand of chemical field test kits. The police were there as well. Company officials demonstrated how the tests could be used to detect cocaine and how officers would perform the tests. The benefits would be multiple: preliminary positive results would be enough to hold defendants longer in jail; pleas could happen in the interim; and the lab would need to retest the alleged drugs only in cases where the accused maintained their innocence and proceeded toward trial. The judges on the Justice Court were assured by police, prosecutors, and the manufacturer that the chance for mistakes was microscopic, less than one in 4,000, according to a November 1989 article in the Las Vegas Review-Journal. Individual judges then held formal evidentiary hearings and signed off, allowing the tests to be used first in cocaine prosecutions and then in methamphetamine and marijuana cases as well. Over time, though, preliminary hearings became just about the only hearings taking place in criminal drug cases in Las Vegas. Last year, for example, just eight of 4,633 drug cases that resulted in convictions went to trial, according to court data. Plea deals sealed the rest. The explosion in the use of field tests by police and their increasingly decisive role in criminal convictions have received scant attention over the years. An array of anecdotal accounts describe arrests based on what later turned out to be soap or doughnut crumbs or grains of sand. Field tests have received a similar lack of scrutiny from government and law enforcement. No central agency, for instance, regulates the manufacture or sale of the tests, and no comprehensive records are kept about their use. There’s no evidence any federal, state, or local law enforcement agency has sought to formally establish error rates for the tests. While DOJ standards for the last 40 years have called for qualified labs to re-examine all field test results, the agency has made no effort to insist that happens or to install other protections against mistakes and the wrongful convictions that could result. And the destruction of field tests after guilty pleas is hardly limited to Las Vegas. In some jurisdictions, defendants accepting guilty pleas agree as a term of the arrangement that the evidence against them will be destroyed. In others, the alleged evidence is simply discarded over time. In a 2013 federal survey of local and state crime labs, 62 percent reported that police agencies don’t submit suspected drugs when a defendant pleads guilty early on in the process. 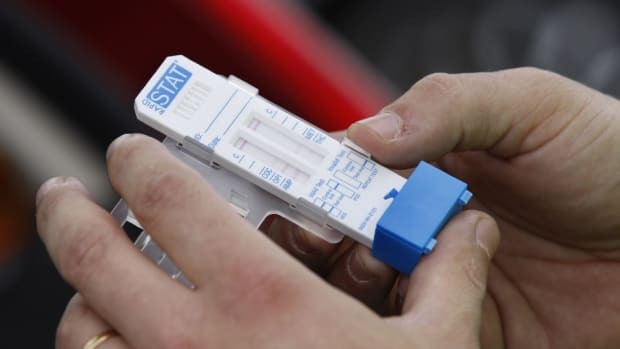 As a result, officers on the street almost never know whether there are problems with the accuracy of the tests and thus have little reason for skepticism. As far as they know, the system works. Throughout, the manufacturers of the tests have pushed them as an indispensable and effective tool for catching and punishing drug users. Currently, at least nine different companies sell tests to identify cocaine, heroin, marijuana, methamphetamine, LSD, MDMA, and more than two dozen other drugs. 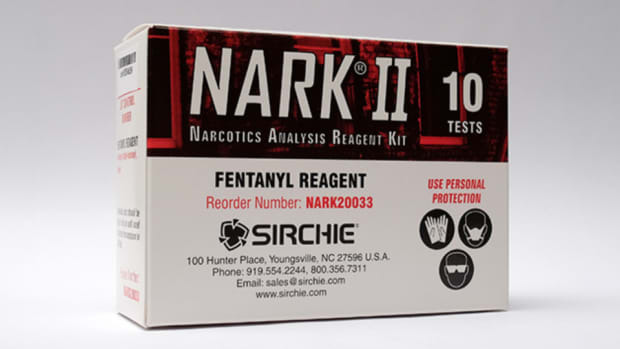 And three of the largest suppliers of the kits, including the company that sells field tests to the Las Vegas police, long ignored the DOJ’s guidelines calling for manufacturers to include warnings of test fallibility on their packaging. In Las Vegas, the police came to create a partnership with one major kit manufacturer, ODV Inc. The Maine company made the NarcoPouch brand, and it produced a kind of quality-control checklist for the Las Vegas authorities that is billed in company promotional materials as boosting the tests’ credibility with courts. Officers, at least in theory, were required to check off boxes indicating they had followed every step in the testing process and interpreted the results correctly. “With this form having been completed, a DA can then feel more comfortable that the proper controls were followed and the results of the field test given more weight,” the company’s newsletter said. Judges got the completed checklists — which always carried the declaration “Result POSITIVE” — as part of the case file at preliminary hearings. So did defense attorneys, often at the same time they received the prosecution’s plea offer. And that’s how things work to this day. Ownership of the ODV NarcoPouch brand field tests has changed a number of times over the years. But Las Vegas has remained a customer, almost without exception buying nothing but the brand for close to two decades. Murga, the police forensics director, said the department purchases only those tests deemed acceptable by the lab and supported by the Justice Court. The lab endorses only ODV NarcoPouch. Between 2010 and 2014, the Las Vegas police purchased more than 42,000 test kits. The brand is owned today by the Safariland Group, based in Ontario, California. When asked about its tests’ reliability and proper use, the company gave a response that seems to call into question years of practice by police, prosecutors, and judges in Las Vegas. “False positives are possible in field tests due to the limitations of the science, which is why we also clearly state in our training materials and instructions that they are not a substitute for laboratory testing,” a Safariland spokesman said in a written statement. Jansen, who served on the bench until 2012, said he and other judges hadn’t anticipated just how many drug cases would result in pleas and just how quickly they would be brokered. But he said he had no reason to find fault with the use of the tests. It was up to defense lawyers to challenge their reliability. Bonaventure, the court’s current chief judge, agreed. “I’m surprised that defense attorneys haven’t brought it up,” Bonaventure said. Defense attorneys are the most obvious protection against unreliable field tests leading to wrongful convictions. In Las Vegas, there is considerable evidence that defense attorneys have been derelict in that duty. A federal review of Nevada’s indigent defense programs in 2000 turned up worrisome and pervasive problems with court-appointed counsel in Clark County. The National Legal Aid and Defender Association came to similar conclusions in examining the public defender’s office two years later. “The perception among the client population, gleaned from courtroom observation and client interviews, is that the public defender office seeks to get clients to plead as quickly as possible, regardless of whether they are guilty or of other needs and concerns the client may have,” the association’s report found. Few lawyers filed motions to suppress evidence, the report said, with some admitting they hadn’t done so in as much as five years. In 2008, the association said problems with sheer indifference had lessened, but the quality of representation remained unimpressive. Judges told the association that public defenders simply weren’t very aggressive. Kohn, chief of the public defender’s office, defended the integrity of his attorneys and said they did their best in difficult circumstances. He noted, for instance, that caseloads remain crushing — more than 200 active cases per attorney — and the office’s work on behalf of those accused of drug offenses is handicapped in other ways as well. Minimum bail for those charged with drug possession is $3,000, requiring defendants to have at least $450 available to secure bonds and their release from jail. Furthermore, cases that would be low-level possession prosecutions in the rest the country are counted as trafficking offenses in Nevada. The state’s drug laws say possession of just four grams of cocaine, methamphetamine, or heroin constitutes trafficking — a far graver felony offense. By comparison, federal law requires 500 grams of powder cocaine for a trafficking charge, 100 grams of heroin, or 50 grams of methamphetamine. Bail at the Las Vegas Justice Court for a trafficking offense is $20,000. The expense of posting bail and the risk of going to trial, Kohn said, can make plea offers knocking felonies down to misdemeanors more attractive even though misdemeanors can bring up to 180 days in jail and tough probation terms. Kohn’s analysis is echoed by others. Laurie Diefenbach, a former public defender who is now a private defense attorney in Las Vegas, said even clients inclined to fight frequently choose to take a conviction in the belief that it is less harmful than months lost to a jail cell. Putting a human face on the innocent in Las Vegas who might have pleaded guilty in such circumstances is close to impossible, given the routine destruction of the alleged evidence against them. The hundreds of wrongful convictions in Houston came to light only because the lab retested every field test that had produced a conviction. Still, the retesting took months or even years, and the district attorney’s office for years overlooked the lab reports proving hundreds innocent. Among those wrongly convicted in Houston, even some of those who avoided much time behind bars lost jobs and the chance at future employment. One pleaded guilty after a grain of sand had tested positive for cocaine. Another after caffeine had done the same. The innocent, the Houston data show, pleaded guilty quickly, on average within four days of being arrested and well before the lab ever had a chance to confirm the field test results. Scores of them had never been convicted of anything prior to being jailed on erroneous drug charges, according to court records. They had families to get back to, careers to try to save. In Las Vegas, the clearest evidence of faulty field test results emerges from the tiny number of cases in which defendants have gone to trial to challenge drug evidence. 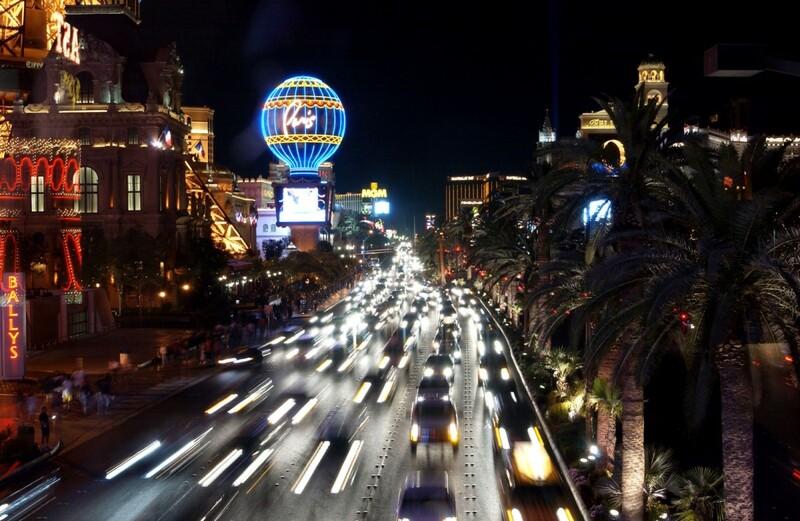 In several cases, the defendants were seasoned street hustlers, dealers of phony drugs to tourists along the Strip. They pushed for trial and compelled lab tests because they knew the nature of their scams — and that their drugs weren’t real. Such embarrassing outcomes happened dozens of times between 2010 and 2013, police and court records show. Las Vegas patrol officers pulled over a local man’s car in December 2010 because it “did not have any functioning license plate lights,” the arrest report states. He had small knotted baggies that held six grams of off-white powder. Eight months later, officers detained another man after watching him walk around the Imperial Palace hotel and casino’s blackjack tables without sitting down to gamble. He had 21 grams of powder in plastic bags. In both cases, prosecutors charged the defendants with crimes punishable by a dozen years in state prison based in large part on positive field tests of the suspected drugs. In both cases, the evidence was not cocaine but the numbing agent lidocaine, packaged to look like the illegal stimulant. The Las Vegas police crime lab proved the first man innocent eight months after his arrest, analysis records show. The other man’s results took almost 19 months to arrive. ProPublica interviewed more than a dozen defense lawyers and public defenders in Las Vegas, and they all said prosecutors delayed having field tests retested in a lab until the eve of trial. The tactic, they said, extended defendants’ jails stays and pressured them to plead guilty. The Clark County district attorney’s office declined to answer questions about delays in retesting drug evidence, but Glen O’Brien, the chief deputy district attorney, detailed the thinking behind the practice in a 2014 court filing. 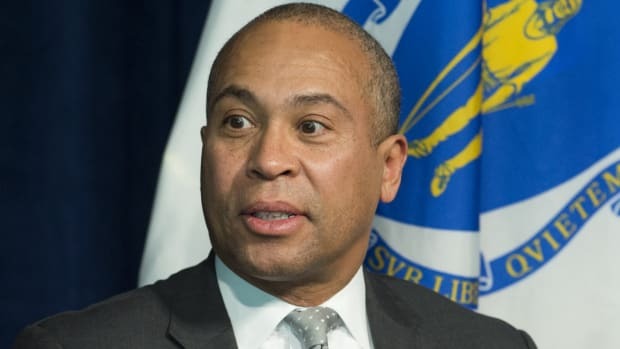 “Due to the great number of drug cases that are prosecuted but the relatively few that actually go to trial, such testing is generally done just prior to trial commencing, when it is clear the matter is actually going to trial,” O’Brien wrote. By 2010, the Las Vegas Police Department was ready to move on from chemical field tests. The tests had produced more than 50,000 arrests and scores of convictions. The defense bar was not up in arms. The judges had long ago accepted their value. But new technology was available: spectrometers that shine a laser on suspicious material and reveal its chemical make-up. The hand-held devices cost about $20,000 apiece, but a manufacturer offered to partner with the police to tailor the devices for law enforcement. The crime lab saw the technology as the future. And so Stephanie Larkin, a forensic scientist in the Las Vegas lab, set about making the case for spectrometers, securing funding from the DOJ to do research. Over the next several years, she and others did testing they said showed the spectrometers performed well. The devices didn’t produce any false positives for cocaine or methamphetamine in Larkin’s study. 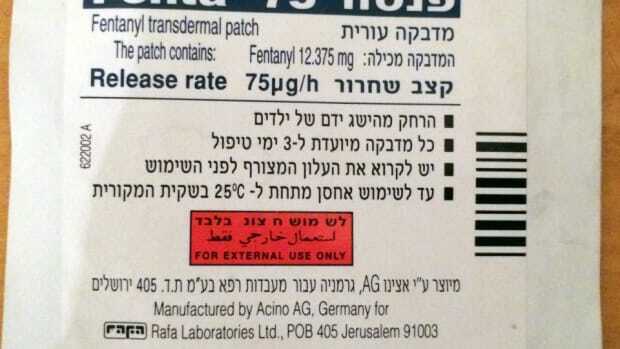 Occasionally, when the device failed to identify illegal drugs, the manufacturer made adjustments. Larkin, though, did not just document the ostensible strengths of the spectrometers. Again and again, in the 95-page report she finalized in 2014, she explicitly documented the shortcomings of the field tests her department had been using for decades. Larkin’s report acknowledged that problems with field tests were, in fact, what had led the department to recognize “the need to find a more reliable method” for identifying suspected drugs outside the lab. Larkin also worried openly about issues of contamination, noting that, given the problems with conducting the tests cleanly and competently, defense attorneys might raise doubts about their integrity. A considerable number of chemical field tests performed in a formal lab setting during her years of study had produced what are known as false negatives, a failure to identify what were indeed illegal drugs. In sounding an alarm, however, Larkin’s report focused not on whether innocent people might have been convicted by faulty evidence or that guilty people might have gone free, but instead on the prospect of the lab having to go back to the days of wholesale drug testing. The lab, she feared, would be swamped again. “With over 34,000 items of evidence being field tested each year, the elimination of the field testing program would overwhelm the laboratory and compromise due process,” she wrote. Larkin could have sought to answer the questions that judges and defendants might have found most valuable: Just how flawed were the tests? Just how often were mistakes happening? John Goodpaster, the forensic sciences director at Indiana University, said such a step would have been logical, even imperative. “The determination of error rates in forensic science is an important issue and it has been recommended by numerous organizations and committees,” he said. But the Las Vegas police have made no effort to quantify the likelihood of mistakes — in effect, an error rate for the field tests. “The true percentage of errors due to false positives is unknown,” Larkin wrote in the report. ProPublica talked at length with Larkin and Murga, the lab chief. They confirmed that one of the central rationales for the study and report was alarm about the shortcomings of field tests. Larkin said false positives produced by field tests were their “number one” concern. “Obviously, we don’t want false positives,” Larkin said during an interview in July. But neither Murga nor Larkin explained why they had not taken further steps to prevent such results. The department today remains intent on switching to laser technology and has even purchased one or two spectrometers. The spectrometers have attracted interest but few buyers among the nation’s police agencies. 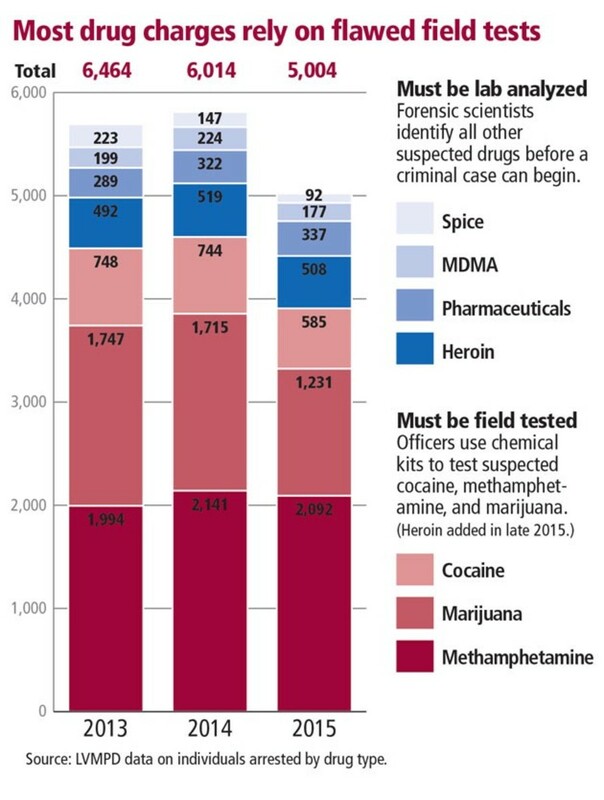 The cheaper chemical field tests still dominate police drug testing. As for Larkin’s report, it was sent to the DOJ, which posted it online with other forensic science studies the agency had funded over the years. It does not seem to have circulated much beyond that. ProPublica found it in a digital archive in 2015, just as the Las Vegas Police Department was ordering its latest supply of field tests. On July 8th, 2015, the judges of the Las Vegas Justice Court gathered at lunchtime in Chief Judge Joe Bonaventure’s courtroom. They were there for one of their regular meetings on logistics and scheduling, but on that day there was an added agenda item: the latest chapter in chemical field testing in Las Vegas. A year after the police had made an argument to abandon the kits because of their unreliability, they were back before the judges to argue for expanding their use to combat increases in heroin abuse and trafficking. Clark County Chief Deputy District Attorney Tina Talim told the judges that the police lab had assigned scientist Michael Noble to find a way to quickly and accurately identify suspected heroin seized by officers, according to an official summary of the meeting obtained by ProPublica. Noble, in his first year as a staff scientist, had helped produce a fairly complicated protocol designed to reduce the potential for false positives. His plan was to have police use a series of three different field tests with each one producing a distinct color change — first purple, then green, then purple again. One field test can easily malfunction or be misread. Requiring officers to use three tests, Noble believed, might enhance accuracy. Noble organized a study and examined how the tests responded to more than 350 different substances, most of them pure compounds purchased from chemistry supply firms, research records show. Noble also tried the method on 50 samples of suspected heroin obtained in arrests. Judge Diane Sullivan wanted to know about the potential for mistakes. Of the samples from arrests, she asked Noble, how many of those were later found to have been false positives? Noble didn’t mention the lab’s report from just a year before laying out problems with officers misinterpreting and mishandling field tests. He didn’t mention the false positives for cocaine and methamphetamine. None of the judges asked another question about field test reliability. Noble’s statement about heroin field test errors was technically accurate. But a ProPublica examination of his work shows that Noble didn’t add an important detail in answering the judge’s concern about false positives. Noble, it turns out, had determined that the suspected heroin seized by officers was indeed heroin before he subjected the samples to the new testing method. The research did not find false positives because there were none to find. The chemical field tests that Noble prescribed will detect heroin. However, there’s no telling what else police might mistake for heroin when performing the tests themselves. Noble said he does not recall his exchange with the judges more than a year ago. He added that every detail of the results and methodology was in a written report provided to all judges at the meeting. Several experts pointed out that Noble’s study did not attempt to assess how well police officers perform the tests. “The ideal probably would have been not to have the scientist do this,” said Michael Kalichman, founding director of the research ethics program at the University of California–San Diego. Over the last 18 months, police have routinely used the test protocol in making heroin arrests. Prosecutors have just as regularly used those results to help obtain guilty pleas. And judges have, week after week in Justice Court, signed off on the pleas and sentenced the defendants. None of the Justice Court’s judges has held a formal evidentiary hearing on the reliability of the new heroin test. Bonaventure, the top judge, said the bench was effectively waiting for defense attorneys to ask for one. Asked about the use of field tests in heroin arrests and prosecutions, Christopher Lalli, an assistant district attorney for Clark County, said they are “sufficiently reliable for the purpose (they are) being utilized (for).” He then asserted that the tests are authorized for this use in jurisdictions in at least eight other states. Lothridge, the head of the National Forensic Science Technology Center, said the tests’ shortcomings are less about science and more about their use by the justice system. This story originally appeared on ProPublica as “Unreliable and Unchallenged” and is re-published here under a Creative Commons license.